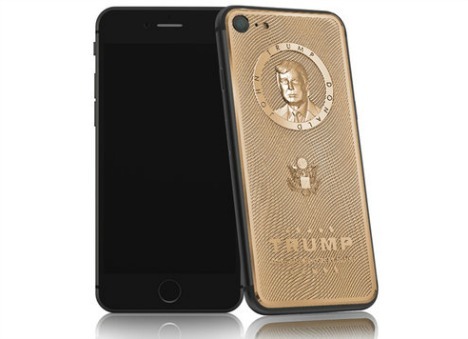 For around $3,000 (197,000 rubles), the company created custom designed of iPhone 7, with an engraved portrait of Trump right on the back of the phone, and the country’s coat of arms with honor 45th president of the United States placed at the middle along with his tagline “Make America Great Again” just below the large “TRUMP” branding near the bottom of the handset, along with a titanium texture. According to the company said, “We will do everything possible to bring the phone to Mr. Trump.” Thus, it’s clear that the company did not only make the luxury version of the iPhone 7 for Trump’s elite supporters, but also for the businessman-turned-president himself. 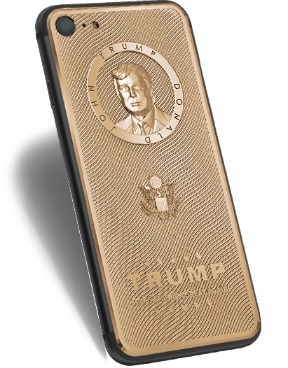 If you are one of those who love this designed, you can now get the Trump iPhone costs 197,000 rubles or U.S. $3,040 from here. The specifications of the phone don’t differ from the regular iPhone 7 which available in three versions – 32GB, 128GB, and 256GB. In addition, the package also comes with luxurious varnished wooden case with certificate of authenticity, USB cable, charger, Stereo Headset, and Warranty card. Caviar made waves in 2014 when its first gold-plated Putin face phone was announced around the internet. 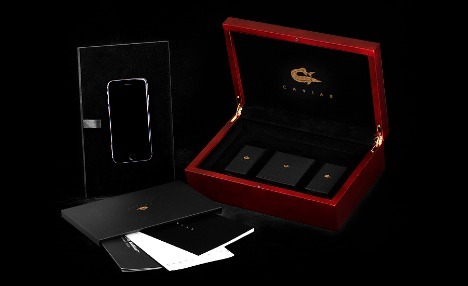 Caviar designed iPhone with President Vladimir Putin because “he has become a symbol of the new generation, strong-willed and a decisive leader”, the company said.